Our older daughter is studying Manifest Destiny this week in history. It’s a huge black mark on American history, and shameful. She’s preparing her first draft of her paper on the topic as I type this. We just finished watching “We Shall Remain,” a part of Ken Burns’ series on American history. 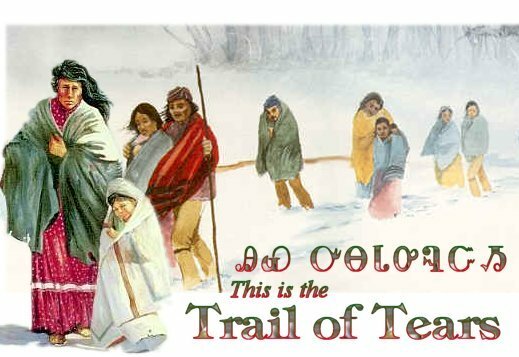 I focused on Part 3, which was about the Trail of Tears; it’s an excellent resource for this topic because, though it focuses on the Cherokee, it gives ample history of the lead-up to the removal of the Indians from their land in the Southeast. I was in tears by the time it was over, though. 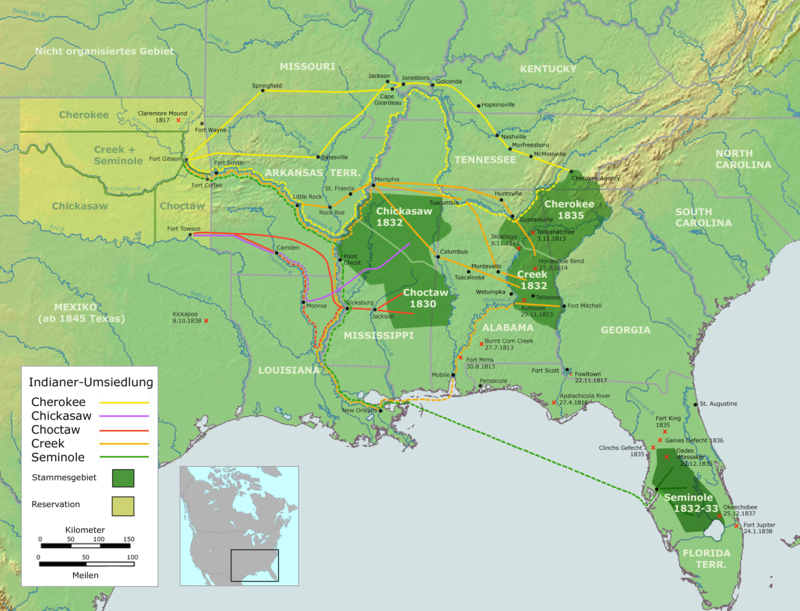 The idea that our government was so cruel – so flat-out evil – towards the Cherokee, Seminoles, and other Civilized Tribes of the Southeast is heartbreaking. The idea that they wanted to violate a treaty, ignored a Supreme Court decision that said Georgia had no rights to what had been deemed a sovereign nation, and then signed a dubious treaty that was done in secret (because nearly all Cherokee were against giving up their land to the US) is sickening. That families were herded like cattle, kept in pens for months, denied the basic human rights (to say nothing of their legal rights), and then marched across the country is disgusting. That about one quarter of them died in the process only makes it worse. Before they even left their land in the Southeast to walk – walk! – to Oklahoma, nearly all the elderly and more than half of the children had died in the disgusting conditions of the pens they were being kept in. Because so many of the Cherokee had converted to Christianity, they sang to our Lord on their journey. They rested in Him when they had no other rest. They hoped in Him when they had no other hope. Their courage in the face of this incredible injustice is inspiring. 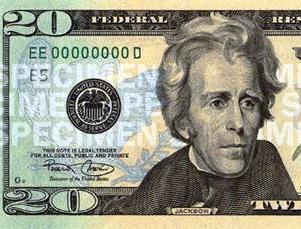 For the record, though, I’ll never look at a $20 bill the same way again. I can’t believe we have a picture of a president who defied the Supreme Court’s ruling on our money. March 31, 2011 in history, homeschooling. Thank you for your moving reflection of the cruel and terrible travesty waged against Native Americans on The Trail of Tears. The heartbreak is too much to hold. Just another atrocity against a people of color. There was another roundup of Japanese citizens approximately 100 years later, and the latest one of mass incarceration for Black people.